Organized by HONG KONG WIRELESS TECHNOLOGY INDUSTRY ASSOCIATION (WTIA), Startup Series: 10 Things I Learnt from Y Combinator will be held on 29 May, 2015 (Friday), 6:00 – 8:00 pm in P1402, Innovation Centre, AC1, City University of Hong Kong. Speaking of accelerator programs at Silicon Valley, some people think that there are only two kinds of them: Y Combinator, or the rest. Best known as the most prestigious accelerator program at the Valley, Y Combinator only accepts about 2% of applicants. Y Combinator has funded over 800 startups since 2005. Nevertheless, merely two startups from Hong Kong have made it: 9gag and TeamNote. 9gag belongs to the 2012 batch while TeamNote the most recent one. WTIA is honored to invite the founders of both start-ups, Ray Chan and Roy Law, to offer a sharing for our members and friends about how they benefited from being a Y Combinator-backed startup. Moreover, founder of Coachbase, Keith Rumjahn, will also show up to share his experience with another top accelerator program, Techstars, which he participated in 2013. Ray Chan is the CEO and Co-Founder of 9GAG, the leading online community that connects people with shared interests. Ray launched 9GAG with his co-founders in 2008 as an experimental project that focused on helping people discover and discuss what’s new, popular and fun on the internet. With backing from 500 Startups, Y Combinator and other notable Silicon Valley investors, nowadays 9GAG has a global audience of more than 80 million and a strong presence on social media including 23 million fans on Facebook, 14 million followers on Instagram and 4 million followers on Twitter. Keith Rumjahn is the founder and CEO of Coachbase, a mobile application that helps coaches to digitize plays into step-by-step animations, and share plays with other coaching staffs, players or the Coachbase community. Coachbase received over 150,000 downloads, and was the no.1 paid sports app in iOS, Android and Mac. In 2013, Coachbase become one of the 10 participants in Nike+ accelerator program, powered by Techstars. Roy Law is the founder of TeamNote, an application focuses on enhancing enterprise communication experience. TeamNote provides solutions for corporates to maxmize their productivity and working efficiency through mobile technology. 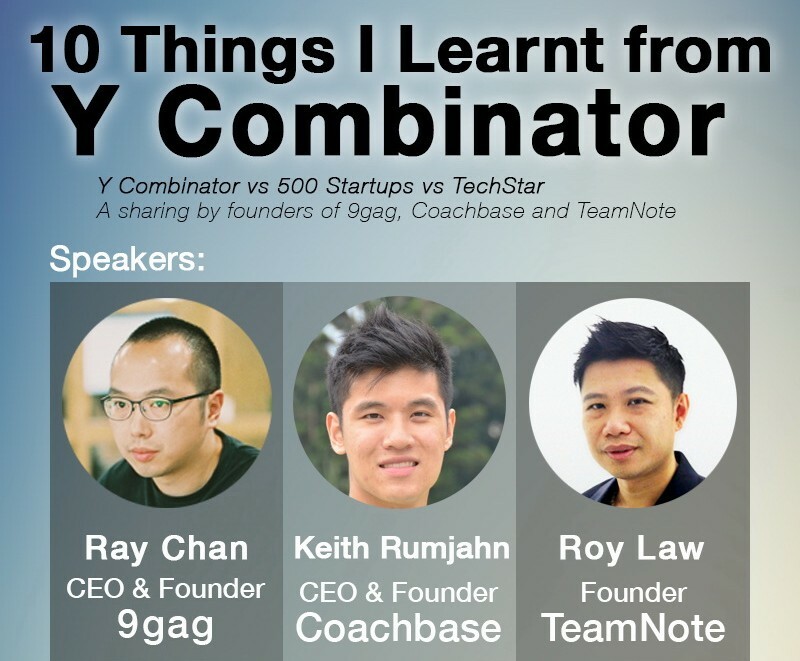 In 2015, TeamNote joined Y Combinator, an accelerator program at Silicon Valley. Furthermore, TeamNote received Best Mobile Apps Grand Award and Best Mobile Apps (Business and Enterprise Solution) Gold Award in Hong Kong ICT Awards 2015.